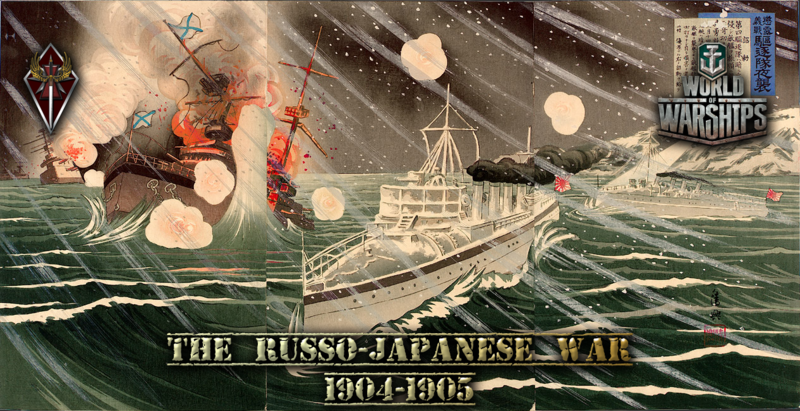 The Russo-Japanese War was a military conflict for dominance in Korea and Manchuria in which a victorious Japan forced Russia to abandon its expansionist policy in the Far East, becoming the first Asian power in modern times to defeat a European power. During the war there were three key naval battles fought out: the Battle of Port Arthur, the Battle of the Yellow Sea and the Battle of Tsushima. For the first time these battles demonstrated the power and long range of battleships, and its consequences changed naval warfare for the modern era. BWC's Warfare division is proud to present a three-stage campaign, reenacting the naval battles using the training room in the WoWS client, recreating the scenarios as closely as possible. BWC WoWS players will engage in a series of four sorties per operation. Teams will be determined prior to the launch of the first sortie and teams will be switched between attackers and defenders for each sortie. The campaign will contain a full historical account of the events that occurred. Low tier 2-3 ships, preferably of the nations involved, are required to join. Participation will be awarded by unique ribbons and upon completion of the full campaign, a medal. The first operation will be held on the 8th of February coinciding with the 113th year anniversary of the battle. The following operations will be held on the 11th of February. These Naval Legends Operations will demonstrate BWC’s commitment to excellence in gaming by showing our focus on teamwork, proper communication, and tactical play while allowing us to have fun and honor all military service personnel involved by reenacting historical naval battles and operations in the Training Room feature of World of Warships. Valentine's Day is in the air – and it looks like you’ve lost that loving feeling. 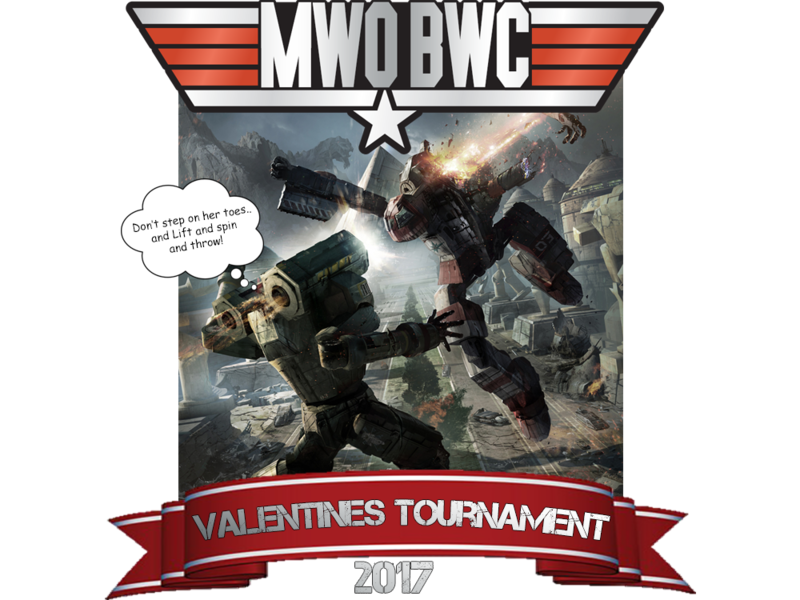 To keep you out of the danger zone, MWO is hosting a couple’s tournament. Don’t worry about finding a dance partner though – this tournament feels the need for speed: players will engage in a randomly assigned round robin with one wingman against two opponents (2v2), switching partners each round. Then the best of the best will square off to find out who is top gun and who can be your wingman any day. No need to check if the pattern is full, just show up on Teamspeak on Saturday, 11-Feb-2017 at 1100, and buzz the tower. Round robin lasts from 1100-1300 with the final rounds to follow pitting the top two pilots with the most kills and the top two pilots with the most teammate saves from the previous round robin via four matches. Choice of mech pack (up to $20) awarded to the player who did not make the final round whose win/(death/kill) ratio is highest.